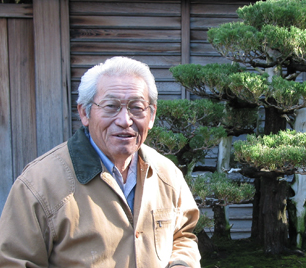 A joint committee was formed in 1993 comprised of members of The Huntington staff and Golden State Bonsai Federation (GSBF) members. The committee was formed with the intention of expanding the bonsai collection and bonsai display area. They are to be maintained to the highest standards, making it a world class collection. The GSBF Committee membership is by appointment of the Committee Chairman. The Chairman is appointed by the president of GSBF to a term of six years. The Committee is charged with the responsibly of funding the position of the Bonsai Curator at The Huntington. As such, the Committee established an endowment at The Huntington to fund this position. The major fundraiser of the Committee is the Bonsai-A-Thon, held each February, with proceeds going to the endowment. The Committee has expanded and improved the Bonsai-A-Thon each year, making it the largest event of its kind in Southern California. Other responsibilities of the Committee include, but are not limited to, acquiring outstanding bonsai for the GSBF Collection, when necessary upgrading pots for the trees, and conducting classes on bonsai for The Huntington patrons and visitors. The Committee members are all volunteers and put in hours of work each year, all for the love of their hobby and passion, bonsai.